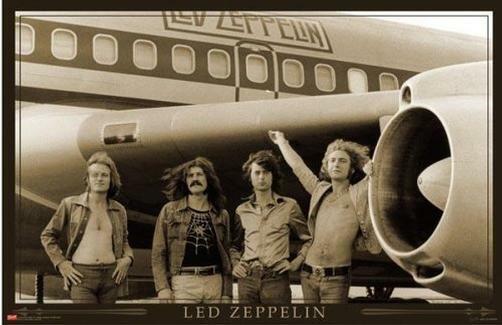 Sepia toned image of Led Zeppelin in front of their airplane. Dimensions are 24in x 36in. NM Condition.